Thread: Disk brakes conversion possible? I have basic frame old school beach cruiser i want to install disk brakes in the front only. 1. 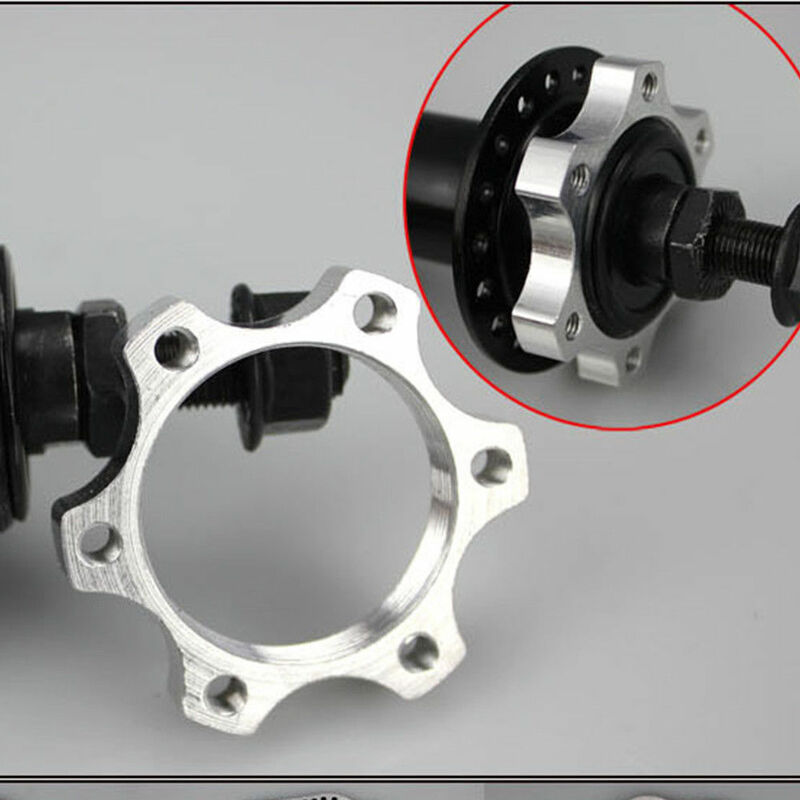 How to mount rotor my wheel hub is basic no thread or mounting holes it. Do i need to purchase new wheel or there's some adapter? I found this thing it threads on the hub, am i supposed to use rear hub in the front to bolt it on? 2. Fork has no mounts for calipers i think this $6 adapter should work? Last edited by PimpMan; 12-04-2018 at 06:59 PM. You will need a new hub. "Is it (really) a good idea?" Rear hubs are between 130-135mm wide (typically) whereas front hubs are 100mm wide, so you would also need to fiddle with that. Can I ask why you want to do this? What advantages do you expect to achieve? Catch a ride to the top of the mountain with your beach cruiser and coast down? You won't be able to use a rear hub in the front, as the spacing is too different. You would need to buy a new front wheel with a disc hub. 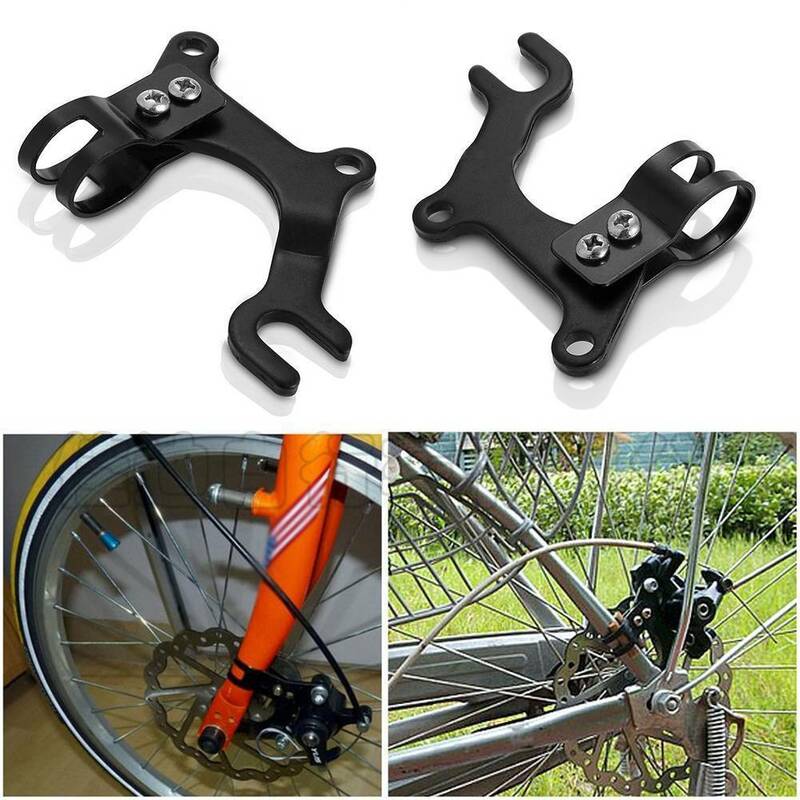 The fork of the bike is not designed to handle a disc brake, so although that adapter may "work,"* I would definitely not recommend it. Beach cruisers generally aren't used in such a manner as to necessitate disc brakes. If you are using one in a manner that does, I would argue that you are using the wrong bike for the job and should look into a new bike. *I can only really see it working with a bolt on hub, and you'll probably need a longer axle, as it looks like that adapter needs to also have the axle sit in it along with the fork dropout. Edit: actually may not need a longer axle, just different size spacers to get the spacing right, since the adapter sits inside the frame/ fork. Somehow, I think this post was a "troll". With a name like PimpMan, how could you tell? I remember about 10 years ago, I saw an obituary for a guy named (enter first name) "Smutman" (enter last name). I wonder if that was his brother? I am converting to gasoline bike i want to have better stopping power since its going to go up to 30mph. Beach cruiser fork i have is super fat and more reliable than one on road bike, so i cannot see why not. People use beach cruiser frames for gas conversion most of the time. Because what's the worst that could happen, right? Cool, man. But I prefer to make a new bike instead of that. It's stuff like this than makes the Darwinian awards, and would have been a great "Tool Time" episode. I wouldn't do it, no way. A beech cruiser probably isn't safe at 30mph either. Why not just get an E-Bike? Then you know it's designed to do what you want. Well, since he's told us that it's a gasoline conversion, now's the time to tell him that this is NOT a forum for motorcycles. I really think that he should go to Bikeforums.net. It's where he belongs, not here. Over there, the 'echo chamber' will reassure him that it IS a good idea, and he can happily ride his ill-conceived death-trap until the day he smashes into a tree at full speed, because of some part failure of his dumb conversion. It's stuff like this than makes the Darwinian awards... Why not just get an E-Bike? yeah, but i've got an old lawnmower, a beach cruiser and $30 to spend on a good brake and gasoline.